Have you ever looked at a map of the world, all laid out in front you, and thought, "hmmm...where to go?" Even if you are an adventurous, free-spirited person, food allergies have a way of paralyzingly our curiosity through fear. The constant need to have to be aware of all of our surroundings, naturally develops into taking less unnecessary trips; Always packing our own food and knowing the specific details of the environments we plan to enter ahead of time. The lack of general knowledge of food allergies in the public can force us into creating our own safety bubble. It's a cause and effect reaction that can force families with very severe food allergies to first, find themselves excluded, and then inevitably, because of their previous absence, not given any consideration. People and the public, in general, can become a safety hazard. To make matters even more difficult and suspect, food itself becomes a weapon because of cross contamination, poor labeling, and very low awareness of the needed information about food. The fact that the food industry struggles to have complete knowledge of "food" is a bit baffling. The popular opinion is that food allergy parents should somehow know more information about safety precautions of every food manufacturer in existence. Can you imagine how difficult that is? There's definitely something wrong with the system when those who make, create, and prepare food aren't aware about the rising food allergy epidemic that affects 50 million people worldwide. It's absurd to simply not have heard of food allergies, if you've been around for the last decade or two. People use their "food ignorance" as a free hall pass to avoid having to make efforts and acknowledge the food allergy epidemic. I know "ignorance is easy" and it's "not their problem"-- except that in shared environments, it is their problem. It's the same reasoning behind the ban on smoking and making "designated smoking areas." There were those who thought that if people didn't want the smoke around them, they should isolate themselves to avoid it. They lost-- remember? You can't expect people to avoid life, so you can smoke. Why should those affected with food allergies do so--- and have to run into food at every turn beyond the food court? Is this inconsideration of mankind, flaunted in every which direction, just the way it is? Or, is this just the world we know and not the way of the rest of world that has two thirds of the rest of the populations affected with food allergies? How do those societies approach this epidemic? It's no secret that Americans have an unflattering reputation in other countries. That led me to wonder... How do other countries treat food allergies? Could our tunnel-vision view of the world, food ignorance, and refusal to accept accountability all be related? Life has a way of opening ones' eyes through our personal obstacles which far supersede nationality. Cultures and societies do define acceptable behaviors though, so I know there's hope. My question is: why haven't the people/communities laced throughout our lives feel the ripple effect and grow too? I'm very proud of my long American heritage, and in no way am I disregarding that, it's just an observation I've made. America is the home of the free, but I can tell you, first-hand, that it doesn't feel very freeing raising kids with food allergies in the States. By today's standards, we're expected to clip our kids wings, and keep them isolated and controlled in a safety net we're accountable for 24/7. We should never bother others or disrupt their wants with the needs of our child's (FDA acknowledged ) invisible disability. When the news talks about a murderer, we shorten our leash and become even more observant of our environments. Why, when they talk about the countless food related deaths, don't people pay attention and do the same? There are some who try, but sadly more who don't. People generalize all kids into one box- the kids box. Anything that deviates from that stereotype is not normal, or pitied. Pizza, popcorn, ice cream are the staples of a normal, American kid. If they don't eat these people wonder how they live or pity them for going without all ,or some, of it. I think so many positive changes could come by changing up this generalization. It would only improve conditions such as childhood obesity, diabetes, ADHD, just to spout off a few. Proper food options are critical to behavior and early development. Learning to make smart food choices is a lifetime skill that should be addressed early. We didn't want to allow the world to define our lives using ignorance and stereotypes. We wanted to explore and show our kids how to find new paths in the scary unknown. After some research and prior investigation, we took our kids on a "trip to new perspectives." We drove across our entire, beautiful country stopping in each state to admire the differences. I could see a change in them as new possibilities began to blossom. After arriving in California, we flew beyond language and cultural barriers and landed in S. Korea for our layover. The hustle & bustle was similar to the States, except people were exceptionally respectful and considerate. The people surrounding us wore breathing masks to cover their own individual germs and prevent catching others'. It was so crowded, people waited patiently and calmly. For ten hours we engaged and absorbed our initial experience with this part of the world, so very different from the U.S. Then we went back to the tiny Pacific island we were moving to. It didn't feel like we were entering the States, the island is a fusion of east meets west. Our move twelve thousand miles away has been the scariest and best choice ever! We have a whole new set of obstacles, more about limited resources than limited efforts or mindsets. We live on a small, multicultural island, protected by America. This choice has given us a great opportunity to expose our girls to a major cultural change, under the umbrella of what's familiar, speaking English and being in American territory. The move tested our knowledge of food allergies exponentially. It has shown our girls (by example) to speak up, ask the right questions, and learn about Google Translate! It's shown us a side of the world where strangers are vigilant to accommodate food allergies. Now that we've seen how inclusive the other 5 major cultures we live among are, the needs we felt to live in isolation (we gained in the States) are off! We're raised to see "our own little worlds." We have such tunnel vision seeing only us, our perspectives, our dreams, us, us, us. When you're desperate to find anyone who understands what you're going through, you can easily rip down barriers that segregated us. People who have specific lifestyles and needs are so interesting!! They have to grow, and learn to defy boundaries and boxes people want to put them in. We can't quit trying to grow and learn because other people want to make us feel small and insignificant. We're not. Food allergies are one of the fastest growing, worldwide epidemics of today. Showing my kids how to plow their way through and beyond the obstacles, has given them a whole new perspective of possibilities. We are currently on a ski trip in Japan! A year ago, I wouldn't even consider flying with my kids. I'd had too many bad experiences to force me into avoidance to protect my kids. Now that I've seen a side of the world where genuine humanity and goodwill take center stage, I know this was the path we needed to take to find our way. A huge, needed change in perspective and confidence had graciously happened. I don't feel like we are made to live in a bubble -- just to keep our child with a life threatening food allergy safe. Be assured I'm always prepared with safe snacks, and I'm very aware of our surroundings. It just comes with being in an unfamiliar environment. It becomes less about being different and more about just being a prepared parent. It's been a nice break from being in familiar places that focus on our differences. 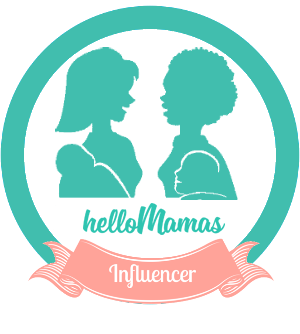 Check in with @hellomamas next month for a Look at Japan through a food allergy moms eyes. In the meantime, here's a brand new song by a dear friend in Brazil. It's about " surviving in this crazy world with a touch of love." He's giving his permission to share his art in reference to Going Global With Food Allergies.